Over the last few months we’ve changed some aspects of how we use social media to provide customer service to both existing and potential clients. Up until a few months ago only a subset of our staff had any level of access to any of our social media accounts. 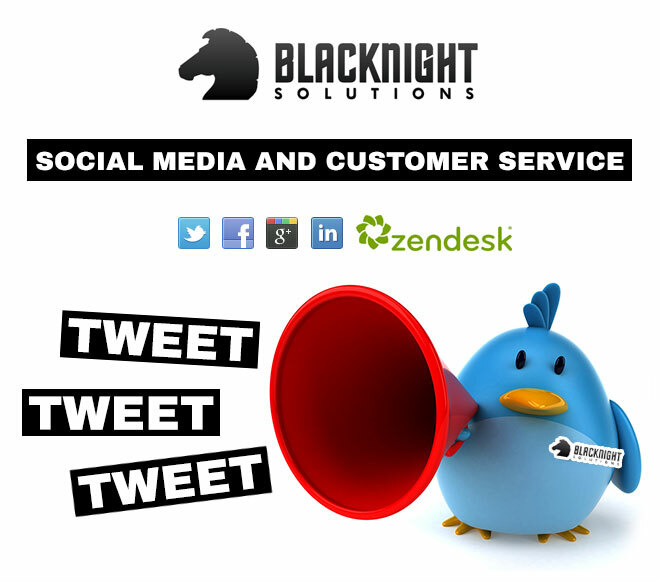 Several key staff are able to post from our company page on Facebook and others are able to access our Twitter account using Hootsuite. Sure, they could all “view” tweets and Facebook posts, but they couldn’t respond to them as the company. Earlier this year we switched our customer support desk solution over to ZenDesk. One of the reasons why we chose Zendesk to replace and augment our customer service portal was their support for 3rd party applications and their API. Essentially ZenDesk allows you to integrate a LOT of 3rd party applications quickly and easily. With respect to social media, it integrates with both Facebook and Twitter. That means that any interaction with our social media profiles could be routed into our help desk. Of course there are limits ..
With our Twitter account we’ve set things up so that only DMs (direct messages) get sent into the help desk. The “@ replies” don’t go anywhere near it, as that would cause confusion. For our Facebook page both wall posts and messages get sent into the help desk. Any messages that get routed to our help desk are handled by our customer service team. If the query is related to a technical issue or query, then it’ll probably be handled by someone from our technical support teams. If it’s a sales query it should get routed to our sales team and billing queries end up with our billing team. Unfortunately there can be delays between when a message or posts is made and it appearing in our help desk. Generally speaking, however, the “lag” is only a few minutes. Why don’t you route all interactions via your help desk? We feel that routing all the Twitter traffic via our help desk would be a bad idea. To start with, as mentioned above, there is a lag, so the “conversation” would be disrupted. Tools such as Hootsuite are far better suited to enabling real-time conversations and engagement than Zendesk (for now at least). Also, the volume of interactions we get on Twitter can be quite high. Why are you only talking about Facebook and Twitter? Why do you ask us for ticket IDs? No matter which social media channel you use to contact us we will probably ask you for an existing ticket ID. Why? A lot of the time people will resort to social media when they feel they’ve already frustrated other methods of getting customer service, so there could already be an open issue in our helpdesk. We’re constantly tweaking and (hopefully) improving how we handle customer service via all channels, so if you have any thoughts or comments please do share them via the comments below. Oooh – We Got Nominated For An Award!